Today an extract from the leaves is used as the basis of many cosmetics, especially to soothe sunburnt skin. 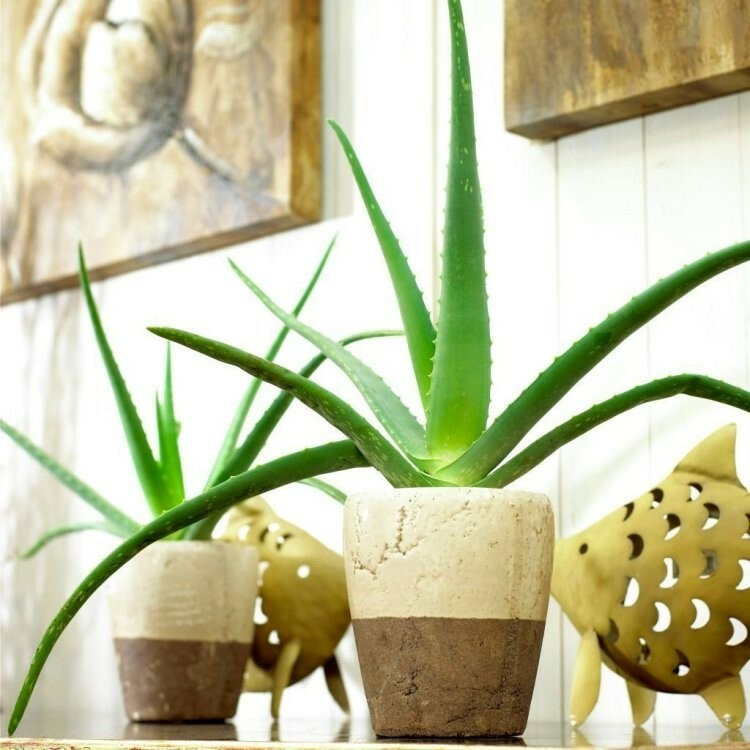 Aloe vera really is famous for the healing power in its succulent leaves. Just break off a piece and squeeze the juice onto blisters, sunburn and stings. 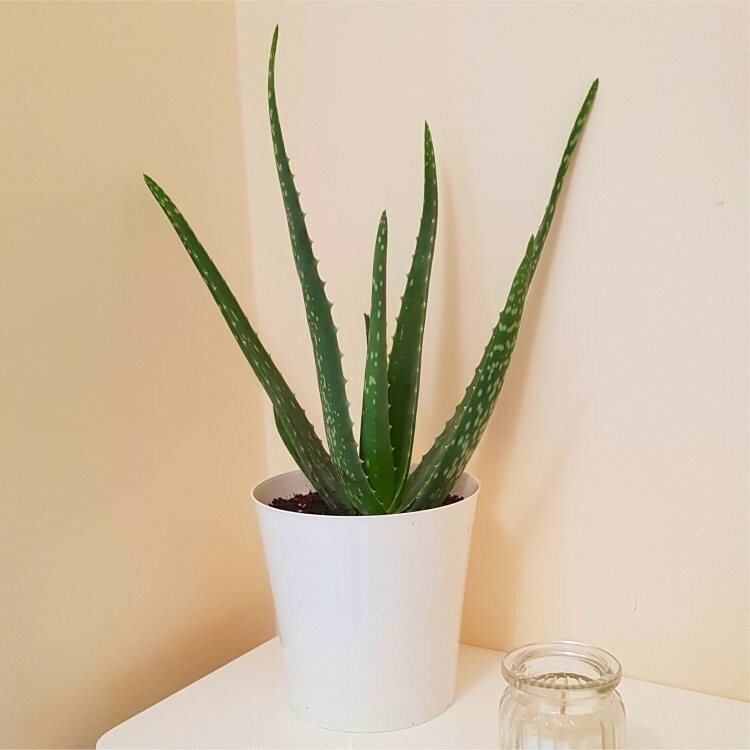 A very easy and striking houseplant that no home should be without, it will thrive in any room or even on a patio in the summer. Tolerant of drought, and those that occasionally forget to water their house plants! Supplied as pictured, in an approx 10-12cm diameter white coloured resin pot, with an overall height of approx. 25-35cms, simply position and enjoy. For decoration purposes only, not sold as medicine, food or a remedy.